Texas Torque’s last official event of the 2018 season was the Houston World Championship (our 8th consecutive World Championship) after triple qualifying at Lone Star Central (Regional Winners, Engineering Inspiration) and South Florida Regional (Chairman’s Award). The World Championship was held in George R. Brown Convention Center and Minute Maid Park, both held in our area, Houston, brought over 400 teams to Houston. Texas Torque played on the Carver field, competing against 67 other teams for a spot on Einstein. After tough qualification matches, Texas Torque ended at the 47th position, with 4-6-0 record. 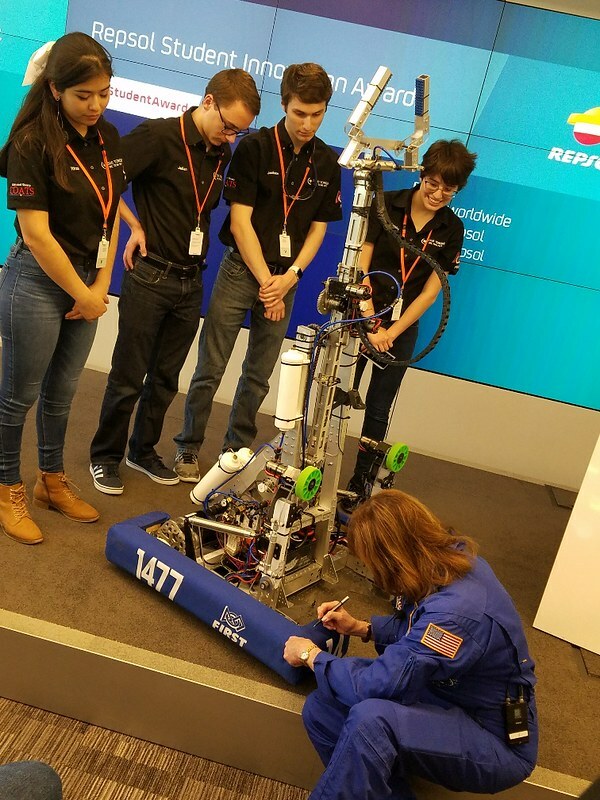 Although the ranking was lower than anticipated, the robot performed well by continuously being the robot by being one of the robot that placed the most cubes. 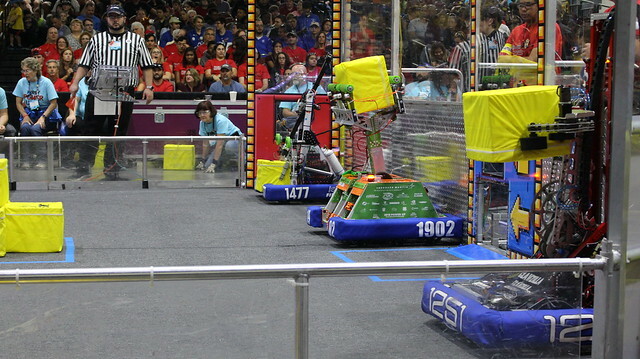 We were picked by team 5026 Iron Panthers, and together we picked team 108 SigmaC@T and team 1622 Spyder; together the teams formed the seventh seeded alliance. During the playoffs, our alliance was eliminated in the quarterfinals. Congratulations to Carver division alliance on the World Championship finalists! 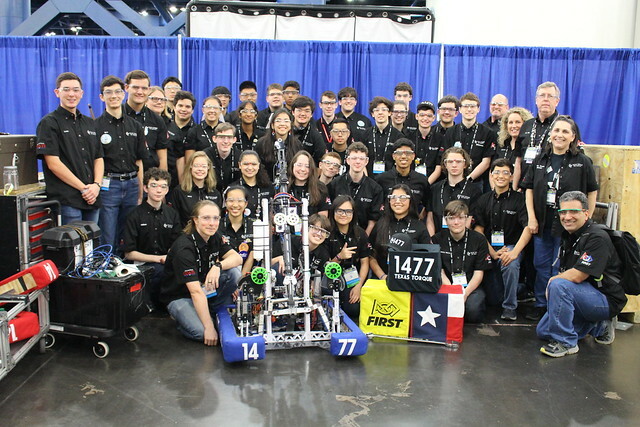 We would also like to congratulate our friends 2468 Team Appreciate for their Hall of Fame Finalists, and team 148 Robowranglers for winning the Houston World Championship! 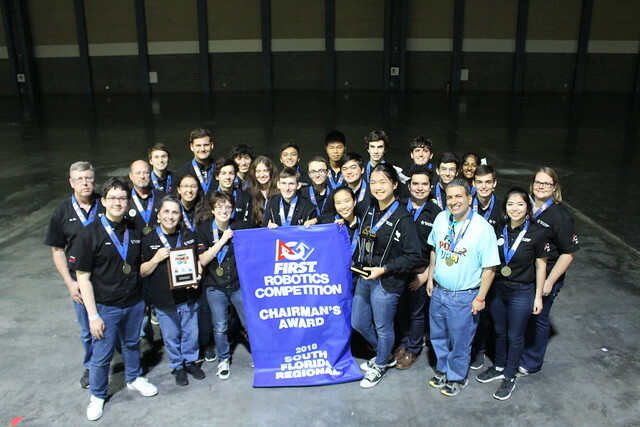 We would also like to congratulate team 1311 Kell Robotics for their induction into the Hall of Fame. We’re thankful to have enjoyed a successful and action-packed 2018 season, but the action hasn’t ended yet — we’ll be facing the boss this may at the Texas UIL State Championships!